Trunyan or Terunyan is a Balinese village located on the eastern shore of Lake Batur, a caldera lake in Kintamani Regency, central Bali, Indonesia. Other than as an isolated home of the Bali Aga people, the village is particularly unique for the their tradition in treating the deceased. 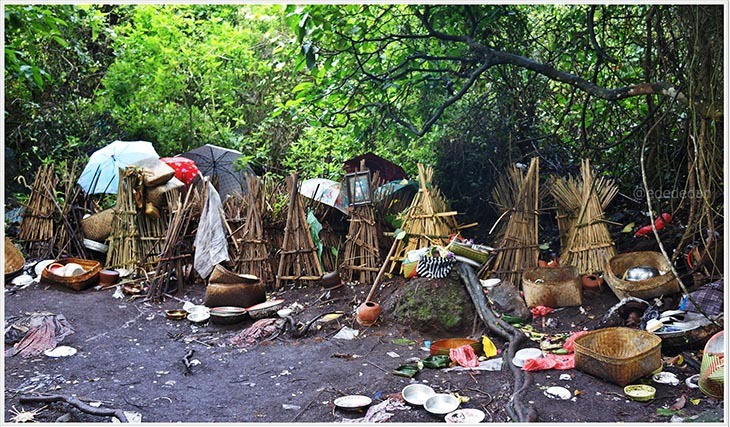 Instead of burning the bodies, as commonly done for the Hindu Balinese by way of ngaben, The Trunyan people leave dead bodies are placed on ground, simply covered with cloth and bamboo canopies, and left to decompose. The influence of a nearby tree is said to remove the putrid smell of the corpses. Trunyan Village is located on the west of Lake Batur, at the foot of Mount Abang, a peak on the eastern rim of the large caldera. The easiest access to the village is by boat. Desa Tenganan or Tenganan Pegringsingan is a village in Karangasem Bali which before the 1970s was known by anthropologists to be one of the most secluded societies of the archipelago. 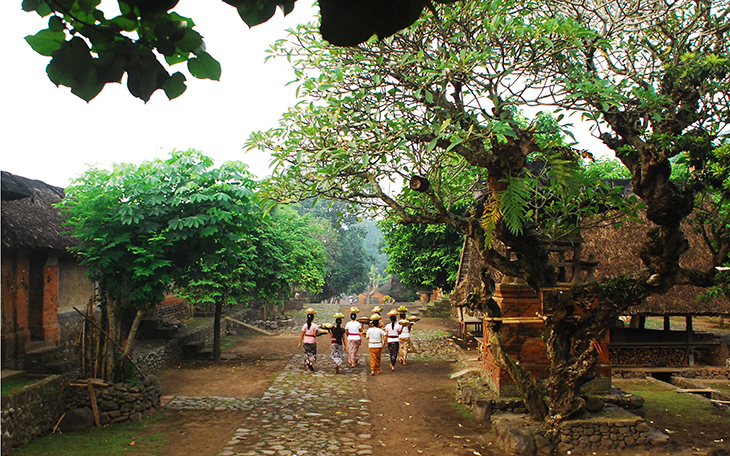 It is now one of the very few villages in Bali that still has a well-preserved Bali Aga culture. 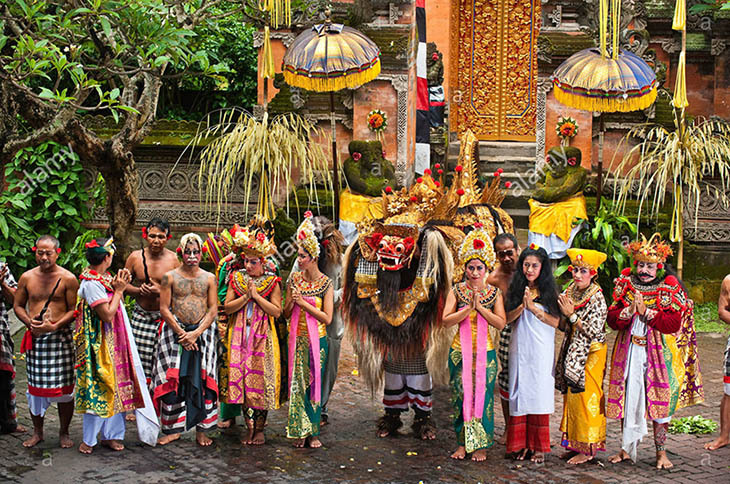 It still holds to the original traditions, ceremonies and rules of ancient Balinese, its unique village layout and architecture, as well as its Gamelan selunding music and double ikat textiles. Best time to visit is when they hold the Mekare-Kare tradition every June and Perang Pandan (Pandan leaf war) on July. Penglipuran Village is a traditional Balinese Village located in Bangli Regency, Central Bali, about half an hour’s drive from Gianyar. Situated about 700 meters above sea level, making a visit to this village a refreshing break from the island heat to the cool mountain breeze. 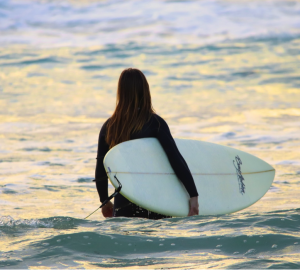 We particularly love Penglipuran for its incredibly clean state. 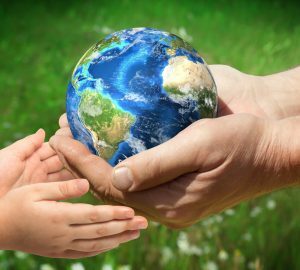 In fact, this island recently was named as one of the cleanest villages in the world alongside Giethoorn in Netherlands and Mawlynnong in India. The best time to visit is around Galungan time, when rows of penjor (bamboo poles with weaving of coconut leaves and offerings suspended at the end) line up and decorate the village. 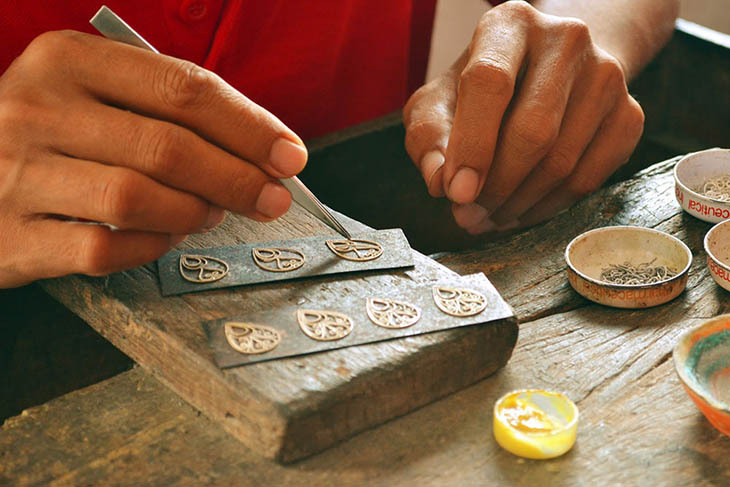 If Yogyakarta has Kota Gede, Bali has Celuk Village as its silver jewelry producing area. Most of the villagers here are gold and silversmith, and not only you can shop for high quality jewelries, you can also learn to make and craft them yourselves. Celuk Village or Desa Celuk is easy to reach too, located near Sukawati, Gianyar, Bali, it is a good idea to make this village a stop in your Kintamani-Sukawati itinerary. Batubulan Village is a tourism village in Sukawati, Gianyar that is popular as one of the most artistic and creative villages in Bali. Here, you can watch many types of traditional dances being performed such as the Barong dance, Kecak, to the beautiful Legong dance. 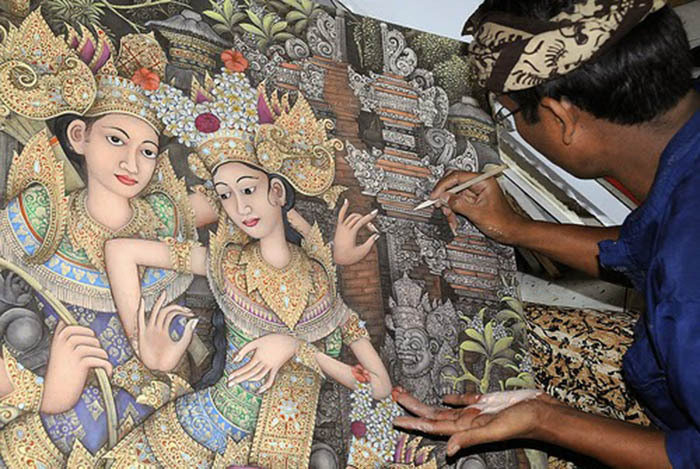 Not only that, you can also watch the wood and stone carvers in action making Bali’s famous statues and pieces of arts. The ones made in this village in particular are said to have extra magical powers! Dare to comission one? 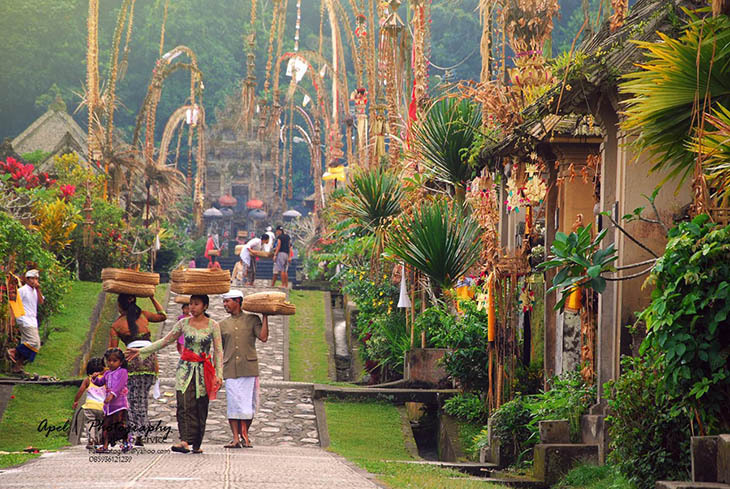 To get to this village, drive towards Ubud, Gianyar from Denpasar. Another touristic village in Bali, Desa Mas is popular for its high quality wood carving that makes Balinese art famous around the world. A visit to this village, you will get to see the carvings being made, and also purchase it yourself. 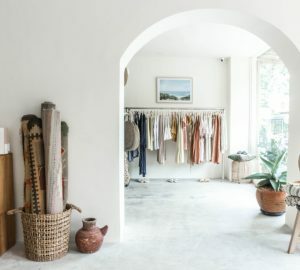 Located about six km south of Ubud, one of the most popular gallery is the Nyana & Tilem Gallery. This village is definitely a must visit for art lovers. Some of the traditional villages you can visit in your Ubud stay include Batuan Village that is famous for its traditional painting, although it is also a center for wood carving and dancing. This is where you can find Balinese fine art at its truest form, with no influence from the western or any other artistic style.